Amouage – just the sound of that one word is enough to set one’s nose on to high alert, sparking the anticipation of some of the world’s very best smells. It is a name synonymous not only with quality, luxury and opulence but also with romance, artistry and exoticism. Founded in the early 1980s, Amouage started with the key principle of “restoring artistry to perfumery”, doing so by inspiration from the brand’s homeland of the Sultanate of Oman as well as cues from more European sensibilities and traditional French perfumery. In 1983 Amouage tasked Guy Robert, one of the world’s greatest perfumers responsible for fragrances such as Dioressence, Caleche and Equipage, to create the brand’s very first fragrance. Robert was given carte blanche to compose a beautiful fragrance with no restrictions on cost or ingredients. The result was a symphonic, no-holds-barred aldehydic (shimmering and effervescent) floral that perfectly merges Omani incense with a classic French floral (trust me, it’s like N°5 on steroids) and brings the east and the west together. Bestowed the simple moniker ‘Gold’ Amouage’s premiere perfume can easily be considered the most rich and opulent in the genre, in fact Robert is known to have regarded it as the crowning glory of his career and even went on to create it’s masculine counterpart ‘Gold Man’ soon after. 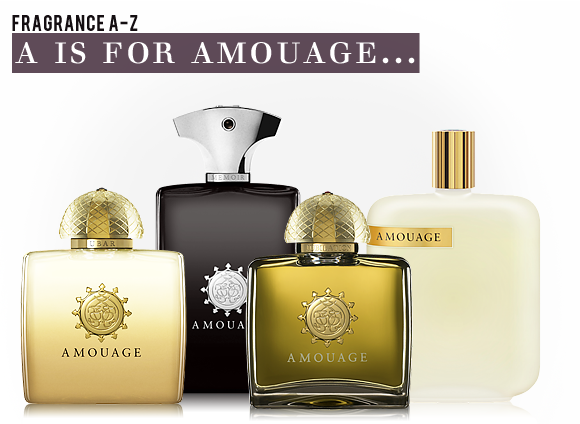 Change was afoot at Amouage by the time it came to celebrate the brand’s 25th year. The house aesthetic was given a complete overhaul with a new creative director, entirely new bottles and the addition of two celebratory fragrances, Jubilation 25 (a spicy, mossy chypre for her) and Jubilation XXV (a beautiful oriental incense for him), all of which marked a new era for the brand. The appointment of Christopher Chong as the house’s creative director saw a significant shift within Amouage. Chong brought a culture-absorbing background that has soaked into the house’s most recent offerings, taking inspiration from Madame Butterfly (Honour Woman and Honour Man), The Silk Road (Epic Woman and Epic Man) and Swan Lake (Memoir Woman and Memoir Man) to name just a few. Today the house continues to go from strength-to-strength, offering a wide range of fragrances, presented in annual duos, one for him and one for her, with each pairing seeming to impress more than the previous year’s. 2010 saw the Amouage catalogue expand even further with the addition of The Library Collection, a catalogue of fragrances that celebrate originality and craftsmanship. Gold Woman is an important fragrance, not only because it is a reference floral that shows just how glorious a fragrance can be when there is no restriction on ingredients, but also because it highlights the house of Amouage’s roots. Not to mention the fact that it is incredibly beautiful. Amouage’s 2012 duo of fragrances was inspired by the chaos of every day life and the moments of calm reflection we take to get away from the madness of the world. Both fragrances are simultaneously beautiful and challenging, Interlude Woman showcases a cacophony of rich textures and colours such as coffee, honeyed florals and a neon green splash of kiwi whilst Interlude Man pitches disorderly notes of leather and birch tar against a delicious vanilla bonfire. They are simply not to be missed. There are few things better in life than a decent white floral and in this fragrance lover’s humble opinion Honour Woman is one of the very best. What makes Honour Woman so wonderful is the contrast between its sweet floral bouquet accented by tart rhubarb and a glorious oriental base of golden incense. It is simply divine! Inspired by ancient journeys across the world’s spice and trade routes Epic Woman lays jasmine and rose over honey, amber, woods and spices. Some fragrances are so wonderful they can stop you dead in your tracks. Epic Woman is one such fragrance. Easily the stand-out fragrance within Amouage’s Library Collection, Opus VI is a an incredibly tasty fragrance that blends dark chocolate and creamy vanilla with the fuzzy comforting warmth and spice of amber. This entry was posted on Monday, January 28th, 2013 at 9:25 am and is filed under Candy Perfume Boy, Fragrance, Special Post, Spotlight On, Tried & Tested. You can follow any responses to this entry through the RSS 2.0 feed. You can skip to the end and leave a response. Pinging is currently not allowed.